According to a recent weather forecast by the Patna Meteorological Centre on Monday, major cities of Bihar such as Patna, Bhagalpur, Purnea are expected to witness moderate rainfall on Tuesday, while Gaya may witness heavy rains. Heavy to very heavy rainfall is likely to take place in Bihar over the next two days, Patna Meteorological Centre on Monday said in its forecast. 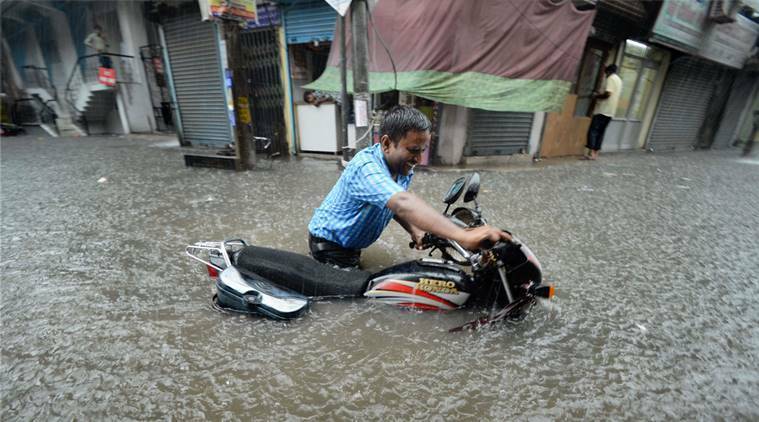 In its bulletin, the Met office said major cities of Patna, Bhagalpur, Purnea are expected to witness moderate rainfall on Tuesday, while Gaya may witness heavy rains. Moderate to heavy rainfall occurred at most places in Bihar in the last 24 hours, it said. Purnea recorded the highest 21.3 mm rainfall, while Gaya recorded 72 mm, followed by 5.7 mm in Bhagalpur and 2.6 mm in Patna. Humidity levels in Patna, Gaya, Bhagalpur and Purnea hovered between 85 to 95 per cent in the morning and was recorded at 65 to 91 per cent in the evening. Rains brought down the mercury level in some cities of the state. Patna recorded the highest maximum temperature at 35.2 degrees Celsius, followed by 34 deg C in Gaya, 32.3 deg C in Bhagalpur and 30.8 deg C in Purnea, the Met office said.